Selector Plates : BRILL ARMORY, Quality Airsoft parts for the discerning consumer. 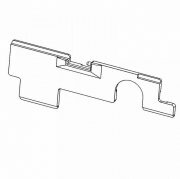 Affordable plastic selector plate for V3 G36 replicas. Affordable plastic selector plate for V3 AK replicas.